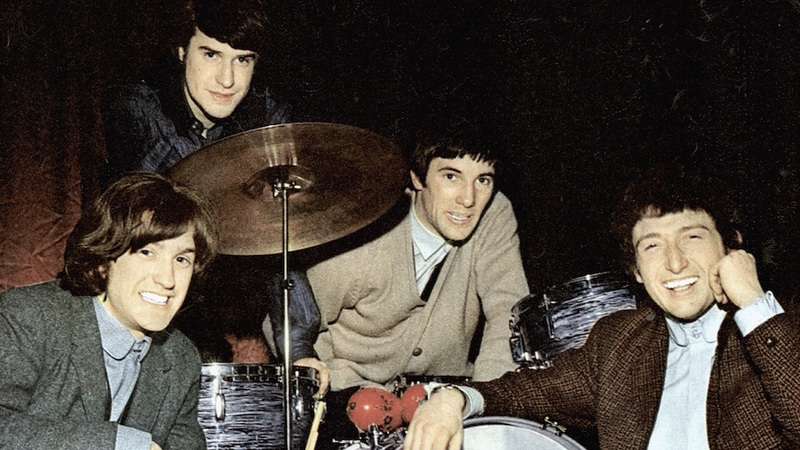 It’s been posited that the same union ban that kept The Kinks from touring the U.S. and hurt them commercially during their peak powers from 1965 to 1969 also enabled songwriter Ray Davies to explore his Englishness on a string of now-classic albums, including one coming up on its 50th anniversary. Davies is rightfully recognized as one of the greatest songwriters Britain has ever produced, and the records he and his band created in the ‘60s and beyond are some of the finest in the pop canon. But for a fan, ranking them is like choosing favorites among favorites. Still it has to be done. The Kinks 18th studio album reveals a band on a mission. “Around the Dial,” “Add It Up,” and the titular tune all crackle with the energy of the bands they inspired like The Clash, The Stranglers and The Jam. “Destroyer,” which references a few of their earlier hits, lets the burgeoning MTV generation know The Kinks never really went away. We just needed to catch up. What’s not to like about The Kinks’ take on late-‘70s malaise as well as their return to punchy rock that began with Sleepwalker (1977) and Misfits (1978). “Attitude” sneers at the Me Decade; “Pressure” channels early rock n’ roll energy. Buoyed by the title track and “(I Wish I Could Fly Like) Superman,” the LP just missed making it into the U.S. Top 10 by one. You might wonder why the band’s sophomore effort makes my list but their eponymous debut doesn’t. Sure they both have one breakout hit (“You Really Got Me” and “Tired of Waiting For You”) but when you dig deeper, the debut peaks with “Stop Your Sobbing” while this one has “Nothin’ Gonna Stop Me Worrying About That Girl,” “Come On Now” and the plaintive “So Long.” The numbers are in number two’s favor. Given their mid-‘60s run-ins with industry types, it must have been sweet justice that Lola — which satirizes and skewers the record biz — produced their biggest chart success in five years. Credit AOR faves “Lola” and “Apeman,” but don’t miss out on deeper cuts such as “Get Back in Line,” “Strangers,” “This Time Tomorrow,” and “Powerman” (one of the finest Kinks rockers on record). This mid-decade release finds Ray and the boys transitioning from their rough-and-ready “You Really Got Me” period to more thoughtful and sophisticated songwriting. “Till The End of the Day,” “The World Keeps Going Round,” “Where Have all the Good Times Gone” and “Dedicated Follower of Fashion” are all gems. As transitions go, pretty smooth. Leave it to Ray Davies to pen a song called “Sunny Afternoon” that’s world-weary rather than cheery (like, say, McCartney’s “Good Day Sunshine”). Other standouts include Indian-flavored “Fancy ” and introspective “Too Much On My Mind,” featuring session man extraordinaire Nicky Hopkins on harpsichord. As with Something Else’s “Autumn Almanac,” the stellar “Mr. Pleasant” was released only as a single, even though it was recorded during these sessions. This follow-up to Village (see below) views the sunset of the British Commonwealth through fictional everyman Arthur Morgan. Baroque pop and music hall abound on “She’s Bought a Hat Like Princess Marina” and “Some Mother’s Son,” while mid-‘60s Kinks grit returns on “Brainwashed” and single “Victoria.” “Mr. Churchill Says’” presages the earthiness of “Lola” while “Shangri-La” — which perfectly captures late-stage Empire ennui and discontent — is the album’s crowning achievement. Ray Davies’ paean to his homeland’s disappearing way of life is also a lament for his lost innocence: the yearning for pastoral bliss (“Village Green,” Sitting by the Riverside” and “Animal Farm”), the struggle not to lose himself in the blush of fame (“Starstruck,” “Do You Remember Walter?”), the rush of every day (“People Take Pictures of Each Other”), and the stoic resignation of “Days.” Masterful. “David Watts.” “Two Sisters.” “Lazy Old Sun. “Harry Rag.” “Situation Vacant.” Nothing feels throwaway here. Even bossa nova-tinged “No Return” is a keeper. All three Dave Davies contributions are strong, especially Dylan-inspired “Death of a Clown.” Ray’s “Waterloo Sunset” is one of the finest in The Kinks’ or anyone else’s repertoire. 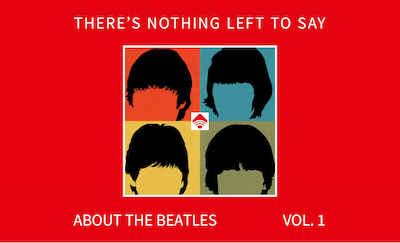 “Village Green” was recorded during these sessions (but held over for their next LP), as was the novelistic “Autumn Almanac,” released as a non-album single. Talk about an embarrassment of riches! Rock critics don’t like the later Kinks stuff – they think it was too blatantly commercial, boring, predictable. SOC would be top of my list. The list is perfect but I would flip one and two. But why quibble? Tough choices given the Kinks body of work. Makes me want to dig out the CD’s and give another listen. Hey Lanny, thank you and cool to hear from another longtime fan. I, too, love “Around The Dial.” And “Cliches of the World (B Movie) from STATE … is one of my favs. Ray throws himself into that one with so much gusto, vocally. Thanks George. Yeah, I want to say this was a tough assignment, but who am I kidding? I got to fully immerse myself in their catalogue in a way that I don’t do often enough (even as a fan!). What — no Word Of Mouth? No Phobia? Rock critics don’t like the latter day Kinks albums. Personally, I love the 2 you mentioned. grEAT LIST..I WOULD PUT SOMETHING ELSE ON THE TOP TOP ALSO. i do looove State Of CONfusion..and also EVERYBODYies in SHOWBIZ!! personally..THE kiNKS are great on every album..they always seem to have atleast 2 or 3 radio hits on each. .even pres act 2 had a few good ones..artificial man..money talks..mirror of love. GOD SAVE THE KINKS!!! Any list without “I’m not like everybody else” from the Great Lost Kinks Album, “A well respected man” and “Dead end street” is incomplete. IMHO they are Ray’s best ever tunes. Good list, though LOW BUDGET had a short play time around our house. We played EVERYBODY’S IN SHOWBIZ and SCHOOLBOYS IN DISGRACE a whole lot more than LOW BUDGET. IMO LOW BUDGET was a deserving hit but, song by song, it’s less interesting than anything on SCHOOLBOYS and SHOWBIZ.